Ma. 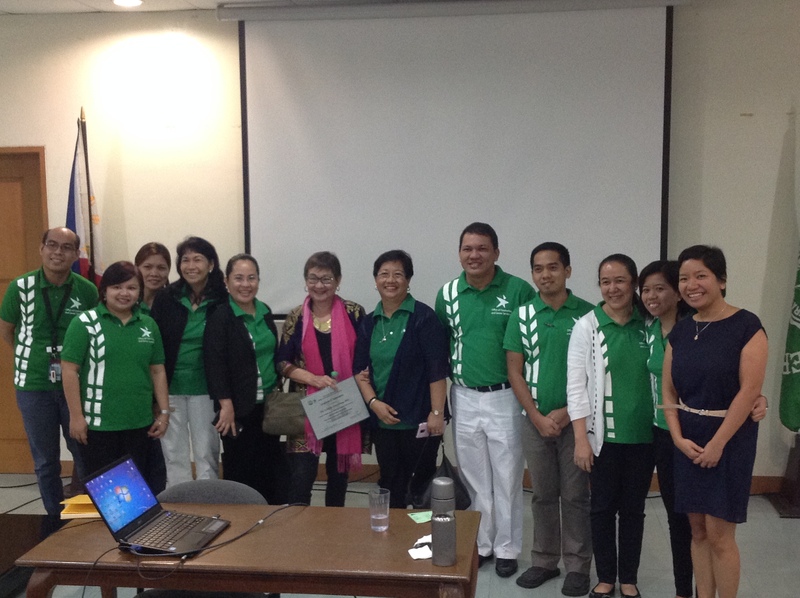 Lourdes “Honey” A. Carandang, Ph.D, RP was invited by De La Salle University – Office of Counseling and Career Services as part of their Annual Caravan Week 2015 celebration. This year’s theme was “Fostering Resilience among Lasallians in Handling Life Transitions”. 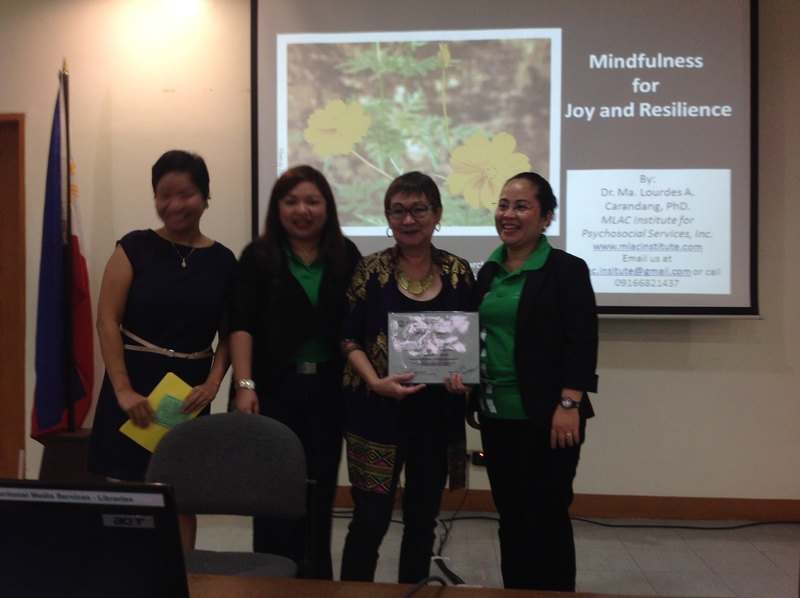 And so, on March 10, 2015, Dr. Carandang gave her talk entitled “Mindfulness for Joy and Resilience” at Yuchengco Bldg, De La Salle University-Manila. Dr. Carandang being awarded her certificate of appreciation by the OCCS. The talk emphasized the importance of mindfulness in helping teachers, counselors, and even students, in coping with daily challenges in an environment full of stressful situations. Dr. Honey also discussed how mindfulness can bring joy to us and enhance our quality of life. She ended with simple exercises to enhance the practice of mindfulness that will help us slowly integrate it into our lifestyle. 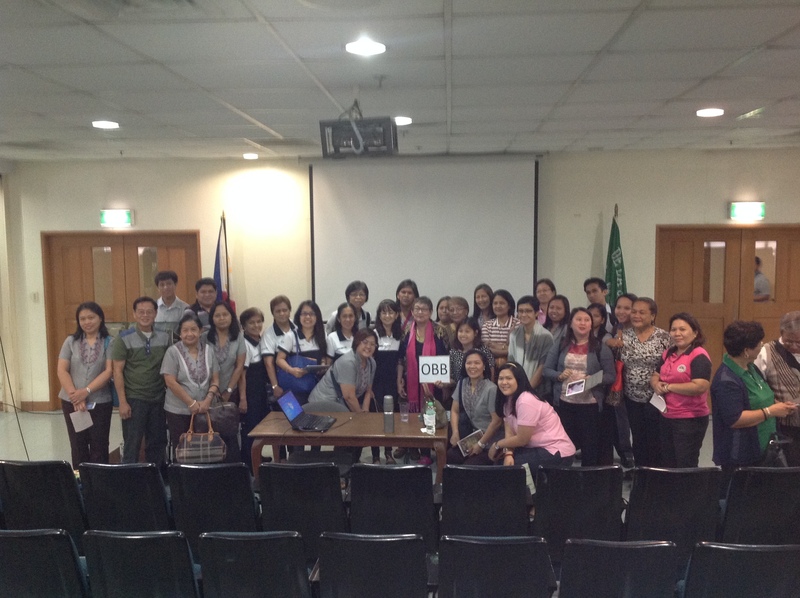 Dr. Carandang with the OCCS staff. Faculty and staff of La Salle, as well as their invited guests, the teachers of their Operation Big Brother Program, listened in to Dr. Honey’s talk. Dr. Carandang with the teachers from Operation Big Brother.